"I regret my recent comment made during a Leavenworth County Commission Meeting and for the negative backlash to the community," the former county commissioner said. 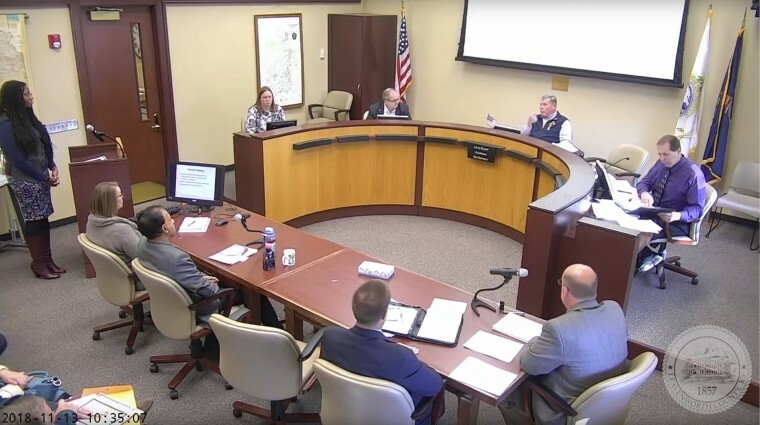 A Kansas county commissioner whose comment saying he was part of "the master race" sparked backlash nationwide said he is resigning from his post. In a resignation letter obtained by NBC News to Leavenworth County Clerk Janet Klasinski, now-former county commissioner Louis Klemp said he will be stepping down from his post as of 9 a.m. Tuesday. "In order to maintain a focus and prioritize the needs of the county I have made a decision to resign," wrote Klemp. "I regret my recent comment made during a Leavenworth County Commission Meeting and for the negative backlash to the community." Klemp's decision follows various calls from community members following a conversation he had on Nov. 13 with Triveece Penelton, a black city planner, at board meeting. According to video of the meeting, the commissioner had disagreed with Penelton's proposed development plan and claimed she shouldn't think he was picking on her because they were "part of the master race." Leavenworth County Administrator addressed Klemp's remarks Friday saying that the comments were "not a reference to Nazis" and that the commissioner had been referring to the shared tooth gap he and the woman had shared. "On several occasions over the past year, Mr. Klemp has made reference that those with a gap in their front teeth are members of the master race," administrator Mark Loughry said. But the statement still caused outrage, including from Kansas Gov. Jeff Colyer who had called for Klemp's resignation on Saturday. While Klemp had told NBC Kansas City affiliate KSHB-TV that his comment was a joke, the commissioner eventually accepted calls for his ousting. "My attempts at identifying a similarity (space between our teeth) with a presenter were well-meaning but misinterpreted by some and definitely not racially-motivated," Klemp wrote in his letter. "I have reached out to the presenter and extended my regret and support."